Our epic story began more than a century ago, back in 1881 when we opened as the Ontario Jockey Club. Today, we have evolved from a picturesque little horse-racing track in east Toronto to a world-class entertainment destination offering the very best dining, entertainment and horse racing experiences. July 1 Queen’s Plate is held at “The Woodbine,” a picturesque track by the shores of Lake Ontario. King George VI witnesses the running of the King’s Plate at Woodbine Park, later named “Old Woodbine” and then Greenwood. Newly appointed director Edward Plunket Taylor embarks on an ambitious scheme to raise horse racing standards in the Toronto area to the high standards of leading racetracks in North America. He also begins to radically expand the club. Under his inspired leadership, OJC acquires local racetracks (Hamilton, Thorncliffe, Long Branch, Dufferin and Stamford) and consolidates its racing charters into three racetracks: Fort Erie, Greenwood and a to-be-built Woodbine. 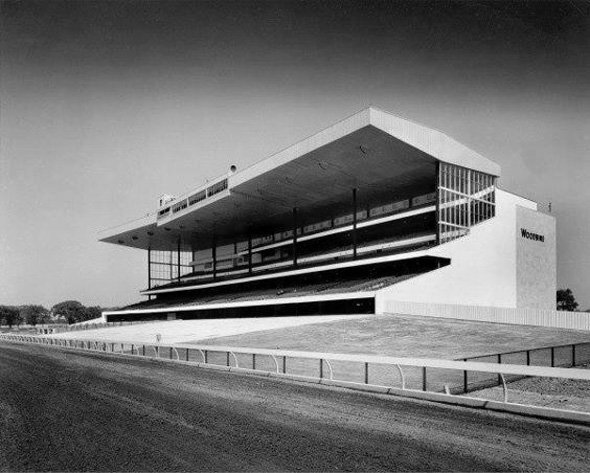 By the end of 1955, the OJC has enough racing charters to conduct 196 thoroughbred and 252 standard bred race dates. The brand new modern and spacious racing facility in Etobicoke – 780 acres – takes Woodbine to the big leagues. The track includes a one-mile oval dirt track and 7/8ths turf course, all adorned with beautiful infield ponds and scenic waterfalls. It becomes the crowning jewel in E.P. Taylor’s master plan to streamline the province’s racing industry and transform a fragmented, inefficient “leaky-roof circuit” into one of the world’s elite racing facilities. Momentum and excitement from the opening of this beautiful large facility sparks an evolution and growth that forever changes the landscape of the Canadian horseracing industry and makes it one of the best anywhere in the world. Her Majesty Queen Elizabeth and His Royal Highness The Duke of Edinburgh attend the Queen’s Plate for the first time. Spurred by an explosion in the popularity of standard bred racing, OJC builds a new harness racing facility in Southern Ontario. On April 26, with a crowd of 4,338 in attendance, Mohawk Racetrack opens. The facility cost $3.5 million to build and included barns for 828 horses and parking for 3,000 cars. With a large 400-acre site, there is plenty of room for expansion of the stables, grandstand and parking areas in years to come. And attendance does indeed increase quickly — with thousands of fans flocking to the new racetrack. The First Canadian Standard bred Horse Society Yearling Sale is held at Woodbine Sales Arena with thirty yearlings catalogued. Northern Dancer Wins the Derby — and the Queen’s Plate! 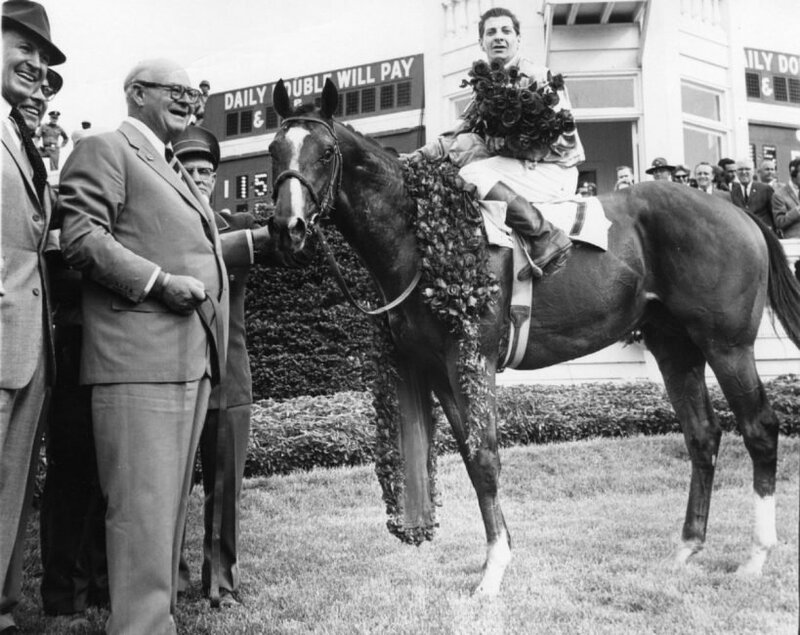 On May 2, Northern Dancer makes history becoming the first Canadian-bred horse to win the Kentucky Derby — in a record time of 2.00 minutes flat. Back at Woodbine in June, a national hero with jockey Bill Hartack in the saddle, Northern Dancer waltzes to the wire in Canada’s most famous horse race, winning the Queen’s Plate by 7½ lengths. This would be his last race before retiring to become the sport’s most prolific sire of all time. On April 18, a record crowd of 11,470 attends the International Drivers Competition at Mohawk Racetrack. The overwhelmingly popular event features drivers from eight different countries. Her Majesty Queen Elizabeth and His Royal Highness, The Duke of Edinburgh attend the Queen’s Plate. Secretariat, a horse many call ‘the greatest of all time’, races for the final time at Woodbine in the Canadian International Championship before being retired to stud at Claiborne Farm in Lexington, Kentucky. 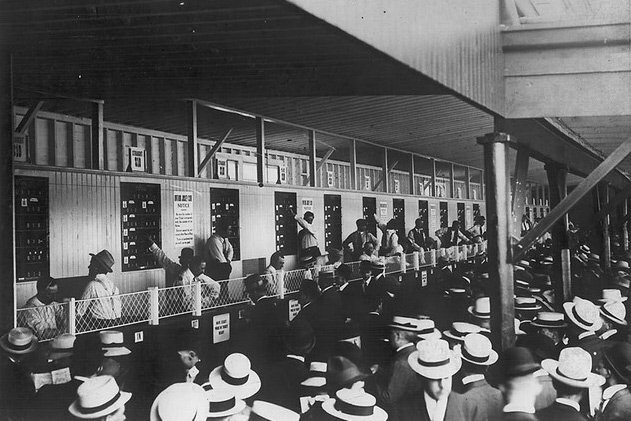 The OJC introduces the first cash, self-automated wagering system in North America. The OJC closes its short-lived Garden City Raceway in St. Catharine’s, Ontario. The first simulcast wagering debuts North America when OJC broadcasts live racing at Fort Erie to its Woodbine track. Inaugural running of the North America Cup takes place at Greenwood Racetrack. OJC tracks are also approved this year for Inter-Track betting between their own racetracks. Her Majesty Queen Elizabeth, The Queen Mother, graciously accepts the OJC’s invitation to be the Royal Patron of The Queen’s Plate Stakes. She would hold this title until her passing in 2002. A loyal supporter and friend of Woodbine, The Queen Mum awarded the Fifty Guineas to the owner of The Queen’s Plate Stakes winner a total of eight times. The Ontario Racing Commission (ORC) approves Sunday racing at Greenwood Racetrack. The first “Champions” off-track wagering location opens at the Doctor’s House. Greenwood Racetrack in the Beaches Area of Toronto closes as a racetrack, but plans to operate as a teletheatre, as part of the off-track wagering network. OJC begins the most ambitious track reconstruction project ever undertaken in North America. In just under a year, it builds a 7/8 mile Harness track, a one mile Thoroughbred dirt track and a 1½ mile turf course, making Woodbine Canada’s showplace for thoroughbred racing. On September 10, Woodbine’s world-class E.P. Taylor Turf Course opens to rave reviews. The stunning course, named in tribute to Woodbine’s founder, instantly wins a reputation as one of the finest anywhere in the world, and continues to attract many of the world’s best turf horses. On the New Year’s Day unveiling of its new seven-eighths mile standard bred track, including state-of-the-art racetrack lighting, Woodbine becomes the only dual racing facility in North America offering thoroughbred racing in the daytime and standard bred racing at night. On Saturday, October 26, Woodbine becomes the first race track outside the United States to host the Breeders’ Cup World Championship. Woodbine becomes “home” to the Canadian Horse Racing Hall of Fame. The OJC launches Horseplayer Interactive (HPI), bringing together the best of Internet, telephone and television to offer the convenience of telephone account wagering. This new service allows customers to wager on racetracks across Canada, North America and around the world via their phone or computer. July 11: Woodbine Entertainment’s Board of Directors approves the sale of Fort Erie Racetrack. December 19: the OJC opens its new 42,000 sq. ft. off-track wagering facility at Greenwood. In a bold and empowering initiative, paid admission is eliminated at all OJC racetracks. A new saddling area is built under the grandstand allowing customers to get a closer view of the horses before each race. Mohawk’s 5/8ths mile track is enlarged to a 7/8ths track. A multi-million dollar facelift of Woodbine and Mohawk begins in preparation for the introduction of the Ontario Lottery and Gaming Corporation’s “Slots at Racetracks” program. In August, Mohawk unveils its new slot area complete with 750 machines, a racebook featuring simulcast racing from across North America and refurbished dining areas. The Racing Network (TRN) launches — with The Ontario Jockey Club as a major partner. TRN is a national English specialty television service dedicated to Canadian and international horse racing and horse racing related programming, including live races, related commentary, odds, replays, and results. It’s the pinnacle of the OJC’s standard bred season – and a first for Mohawk: in October, Mohawk Raceway proudly hosts eight Breeders Crown races on an evening race card, making it the richest event in Canadian harness racing history. Woodbine’s Harness track is upgraded from the existing limestone surface to one utilizing crushed lava rock. On March 27, Woodbines opens its new racing, gaming and entertainment facility compete with a 57,000 sq. ft slot machine floor, bars, restaurants and a renovated second-floor grandstand. The slot area holds 1,700 machines (operated by the Ontario Lottery and Gaming (OLG). To better reflect its growing multi-dimensional business operation, the OJC changes its corporate name to Woodbine Entertainment Group (WEG). Under the leadership of Chairman David S. Willmot, the not-for-profit corporation embarks on a series of industry-leading innovations to drive economic sustainability and position itself for future success. On April 30, Woodbine Entertainment purchases Hastings Park, the thoroughbred racetrack in Vancouver, British Columbia. Venturing further into the entertainment marketplace, Woodbine Entertainment opens Turf Lounge, an upscale fine-dining restaurant/bar and teletheatre on Bay Street, in the heart of Toronto’s financial district. WEGZ Stadium Bar opens. As one of the biggest and best sports bars in Canada, it boasts: off-track wagering, 90 big screen TVs, 10-10’x10’ HD screens and one massive 16’ x 22’ theatre-style screen. The state-of the-art 23,000 square-foot facility is located just minutes from Woodbine at 2610 Rutherford Road in Vaughan. Internet wagering becomes a reality with the launch of HPIBet.com – Canada’s first legal online horse betting service. Horseplayers can now enjoy the convenience of betting online on over 150 racetracks around the world. Woodbine Entertainment sells Hastings Park to The Great Canadian Gaming Corp. on April 7. On Sunday July 23, Woodbine celebrates its 50th anniversary highlighted by the inaugural running of the Northern Dancer Breeders’ Cup Turf. In addition to the big race, fans take home a limited-edition 50th anniversary magazine, a boxed set of the 2006 Woodbine Jockey Card Collection and a collectable bottle filled with actual dirt from the racetrack that played host to some of the most unbelievable moments and unforgettable memories over the last half-century. “Woodbine goes wireless” allowing fans on-track to place wagers through HPI on a BlackBerry and other hand-held devices. To improve the health and safety of both horse and rider, Woodbine becomes the first track in Canada (and the second in North America) to install the revolutionary Polytrack synthetic racing surface. Royalty Returns — and First Queen’s Plate Broadcast in HD! Her Majesty Queen Elizabeth and His Royal Highness The Duke of Edinburgh attend the Queen’s Plate – which is broadcast in HD (high definition) for the first time on CBC Television. HorsePlayer Interactive (HPI), Canada’s leading phone and online account wagering service, launches in Quebec and is now available in every province except Manitoba. Woodbine is ranked the second safest racetrack in North America. The impressive ranking is based on “average catastrophics per 1,000 races” over a three-year period (2009-2011) as part of the Jockey Club’s Equine Injury Database Report of 16 leading racetracks. HorsePlayer Interactive is introduced to horseracing fans in the province of Manitoba, making the service available coast-to-coast in Canada. Mohawk Racetrack celebrates its 50th anniversary. Ontario Premier Kathleen Wynne is on-hand to celebrate the racetrack’s milestone. Champions Teletheatre Network marks its 20th anniversary. 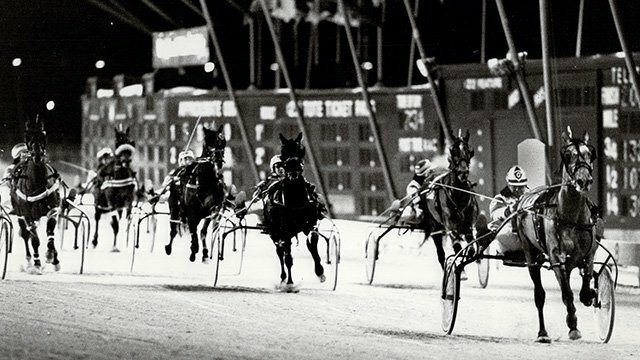 The Pepsi North America Cup (Canada’s richest harness race) celebrates its 30th anniversary and is broadcast in high definition for the first time. A huge win for Woodbine Entertainment and the province’s horse racing industry: The Ontario government announces its Horse Racing Partnership Plan — a five-year blueprint to invest up to $500-million to support the horse racing industry in the province. Toronto City Council conditionally approves a massive expansion of gaming at Woodbine Racetrack. Also this year, new synthetic thoroughbred racing surface (Tapeta) is installed at Woodbine – and HPIbet.com is re-launched with state-of-the-art technology, features, and improved usability. HPIbet.com is re-launched with state-of-the-art technology, features, and improved usability. For the first time, The Queen’s Plate featured headlining musical acts, while The 2016 Pepsi North America Cup achieves multiple records including the highest single-card handle figure in the history of Woodbine Mohawk Park as well as an attendance record. A new synthetic thoroughbred racing surface called Tapeta, is installed at Woodbine Racetrack. Woodbine Entertainment partners with the Horsemen’s Benevolent and Protective Association, and Groom Elite to offer horsemen training programs to local community members. A Community Garden is launched on the grounds of Woodbine Racetrack providing learning opportunities and nutritious food to team and community members. Woodbine Entertainment announces that Woodbine Mohawk Park will be home to year-round standardbred racing and will benefit from more than $10 million in upgrades as well as Jessica Buckley becomes the first President, Woodbine Mohawk Park. Woodbine Entertainment unveils a Master Plan for the development Woodbine Racetrack. The addition of a second turf course at Woodbine Racetrack is announced and expected to be operational in 2019. The Queen’s Plate expands to a two-day festival featuring headlining musical acts each night and is honoured at the 2017 Ontario Sports Hall of Fame Induction Ceremony and Awards Gala by being awarded the Prentice Family Legacy Award. Woodbine Entertainment is a certified as a Great Place to Work through an employee-driven survey administered by the Great Place to Work Canada organization. New gaming service providers, OGGTA and OGGW are welcomed to Woodbine Racetrack and Woodbine Mohawk Park respectively to assume control of the gaming operations from the OLG. Woodbine Entertainment and The Meadowlands announce the implementation of the Standardbred Racing Integrity and Accountability Initiative (SRIAI). In addition to great workplace certification, Woodbine Entertainment is featured on the 2018 list of best workplaces in retail and hospitality after a thorough and independent analysis conducted by Great Place to Work Canada organization. Based on a City Manager’s report which detailed the successful commitment or resolution of 21 conditions, Toronto City Council approved expanded gaming at Woodbine Racetrack.